The thing that makes Bitcoin bitcoiny is the blockchain, the secure ledger of all payments and trades. 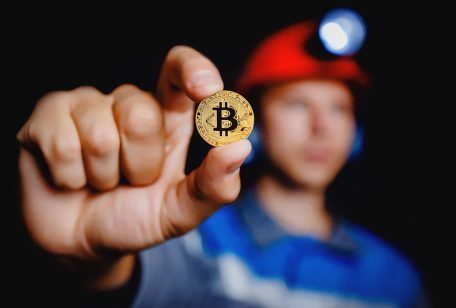 The point of the P2P bitcoin network is the generation and maintenance of that ledger, and technically anyone can contribute updates—those recordings of transactions are blocks in the chain. But there’s a catch. (This was the bit of genius in bitcoin inventor Satoshi Nakamoto’s pitch, whoever the almost certainly psuedonymous “Satoshi Nakamoto” is or are.) In order to contribute a block, you also have to solve some really hard math, a “hashing algorithm” called SHA-256. The declining rewards put a cap on the total number of bitcoins that can ever be in the world. It’s 21 million, and the current trend line leads to them being nearly all mined out around 2032. Once that happens, transaction fees will be the only reward built into the system. Some other cryptocurrencies, maybe more energy-efficient ones, will start looking more competitive. Right now, bitcoin looks increasingly like a tool for speculation rather than a viable, mainstream currency. And one scientific law that math, physics, and economics all share is this: Bubbles pop.